I bought this one in Germany but had seen it at the Art Academy I visited at Kassel. But this bottle doesn't do it justice to the other bottle design they sold at the academy. 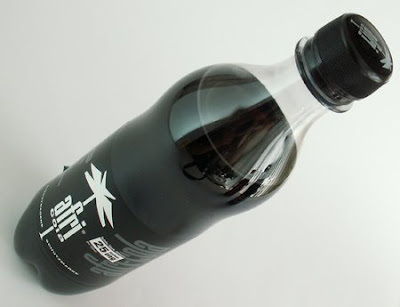 The other bottle was made from glass and had a direct print instead of a label which looks much better than a simple paper label. Maybe a plastic label or transparent label would had made the bottle look much better. I like the logo and clean, less is more design. However the word Africola on the side are like space fillers which wasn't really needed. Would been much cleaner if they got rid of that. The taste of the cola isn't special actually. It's more kind of Pepsi like taste then Coca Cola.